Urban Naari Brown Colored Rayon Leaf Printed Stitched Straight Kurti. Urban Naari Royal Blue & Multi Colored Rayon Ethnic Printed Stitched Straight Kurti. Urban Naari Navy Blue Colored Rayon Pyramid Printed Stitched Stylish Kurti. Urban Naari Blue & Multi Colored Rayon Abstract Printed Stitched Straight Long Kurti. 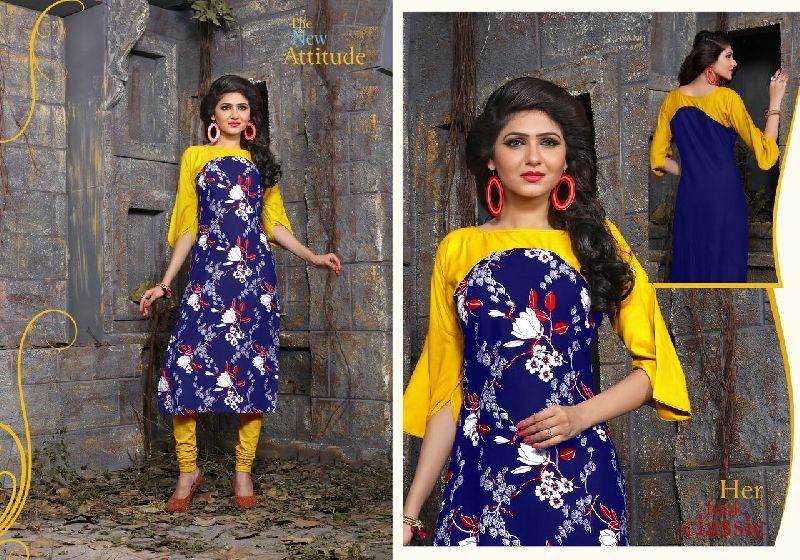 Urban Naari Blue Colored Rayon Floral Printed Stitched Stylish Kurti.